Both the Envi and Envi Deluxe series products are based on the more general iEnvision iPhone/iPod Web-image browser, which includes most of the topics from all the Envi and Envi Deluxe applications (excluding the Travel Envi series). iEnvision also includes additional topics and features, in particular the ability to add, update and remove items from its topic list, and to add your own topics. 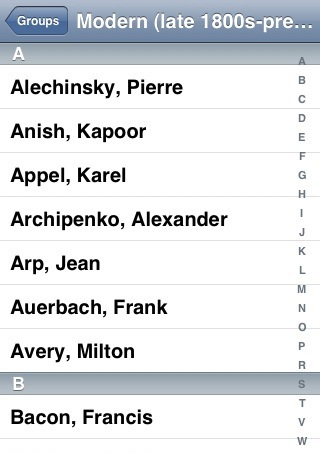 Art Envi Deluxe - An endless art museum in your pocket! Art Envi Deluxe turns your iPhone or iPod touch into an amazing art gallery, with collections from the world's best artists. 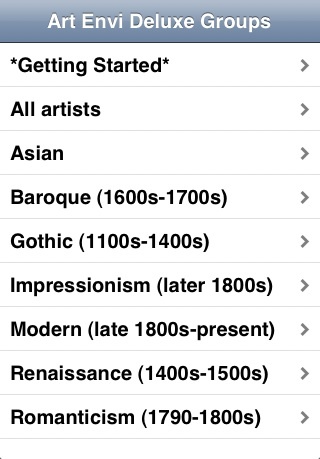 It gives you easy, full-screen access to thousands of Web-based masterpieces, indexed by artist and by period. 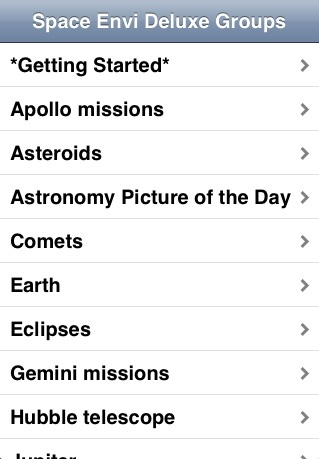 Space Envi Deluxe - An infinite space museum in your pocket! 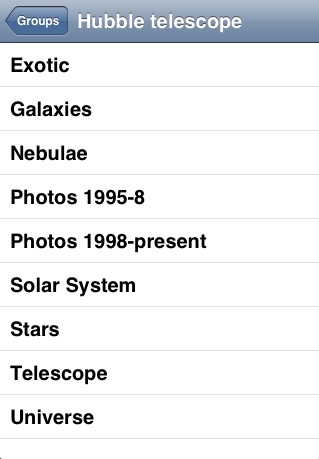 Space Envi Deluxe turns your iPhone or iPod touch into a Web-based space museum, with exhibits and archives from around the universe. 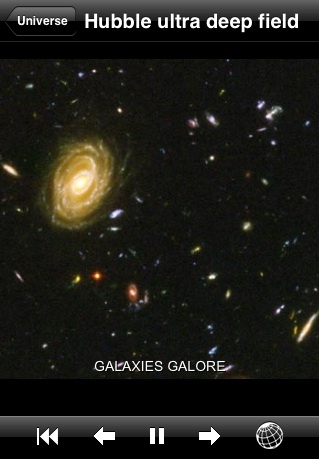 It gives you easy, full-screen access to an out-of-this-world set of space photographs, grouped into major collections. But note that the iEnvision User's Guide also documents features not found in the Envi Deluxe apps, especially those pertaining to managing shows and groups. An Envi Deluxe app is displaying images longer than it should. Large images, or images from a slow site, can cause display times to be longer than expected. Every time I run a show, it starts where it last left off. How do I get the show to start at the beginning? When you run the show, use the "go to first" control to go to the first slide. Use the Restarts at Beginning setting in the Envi Deluxe app pane of the Settings application, and also set Override. Use the Reset All Shows setting. I can't double-tap to zoom. Double-tap is not currently supported. The images in some shows seem to be out of order. 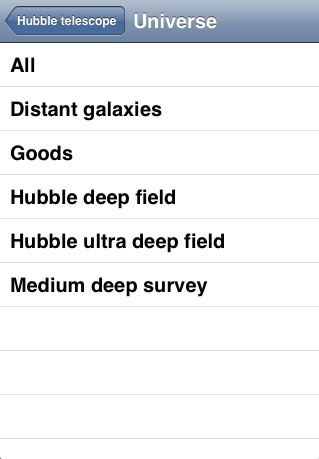 An Envi Deluxe app displays images in the order in which those images are encountered on the underlying Web site. 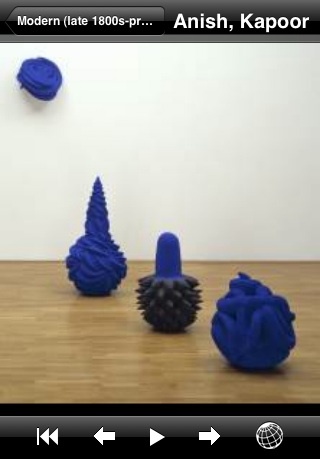 Often those images are not in the order implied by a browser's display of the page(s). The images in a show seem out of date. You can always get the latest images by hitting the "go to first" control while the show is playing. Some shows don't seem to start where they left off. Shows that point to Web sites where the data changes (for instance comic strip sites, that update their comic every day) will start over at the beginning on a periodic basis, usually once per day. You can use the Envi Deluxe app pane of the Settings application to override all show's built-in settings. Some of the shows get errors, or do not display the images I'd expect. Be sure you've got an active Internet connection before running an Envi Deluxe app. If your device was off and you turned it back on with an Envi Deluxe app running, it's possible the Internet connection didn't come back up in time. The Web site on which the show is based could have changed. Try upgrading the Envi Deluxe app, since a new show that fixes the problem could well have been created. Some images have captions, and others don't. Not all images are supplied with captions. Envi Deluxe apps display them when available.